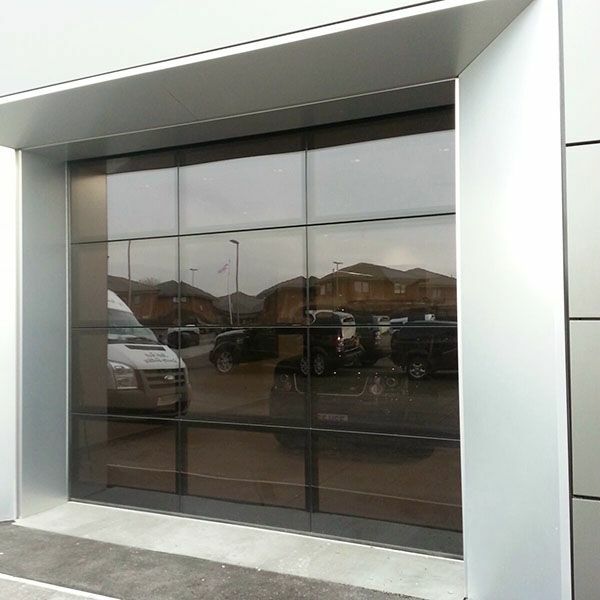 The ALR F42 Vitraplan door is a highly exclusive version of the ALR F42 door with wide glazing areas. The door is especially elegant thanks to offset, flush-fitting glazing. The frame profile is concealed, so nothing detracts from the clear overall appearance. 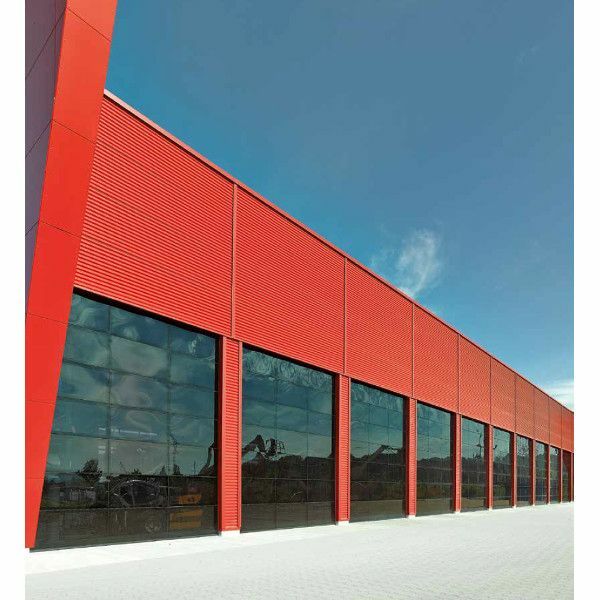 Continuous glazing adds an eye-catching element to modern industrial structures and prestigious private buildings. 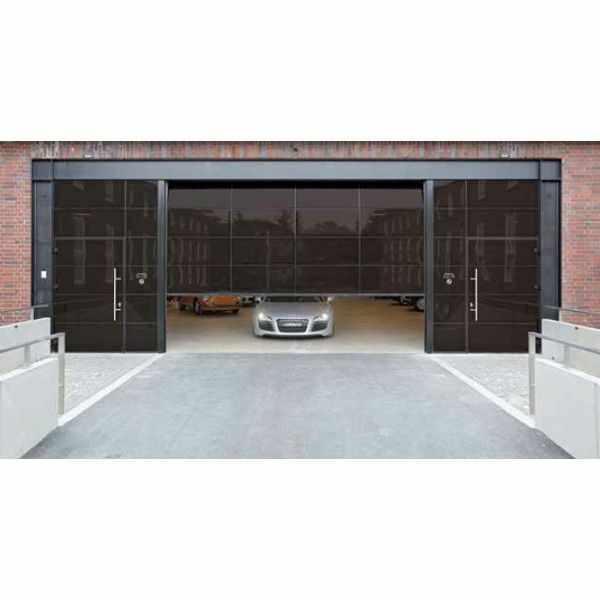 Hörmann's proven finger trap protection for industrial sectional doors is also included in ALR F42 Vitraplan doors. 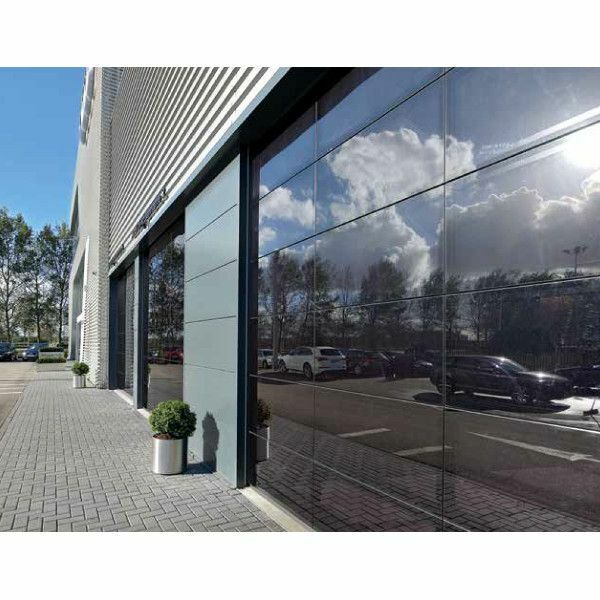 The ALR F42 Vitraplan can be optimally integrated in the facade with glazings in brown and grey, as well as a dark frame profile colour that harmonises with the glass. This exclusive door fascinates with a mix of mirroring and transparency. 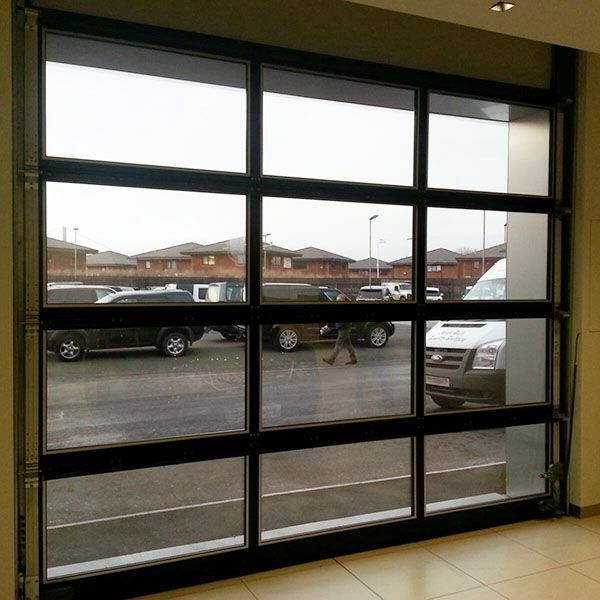 For more information view the Hormann Industrial Sectional Doors Brochure.